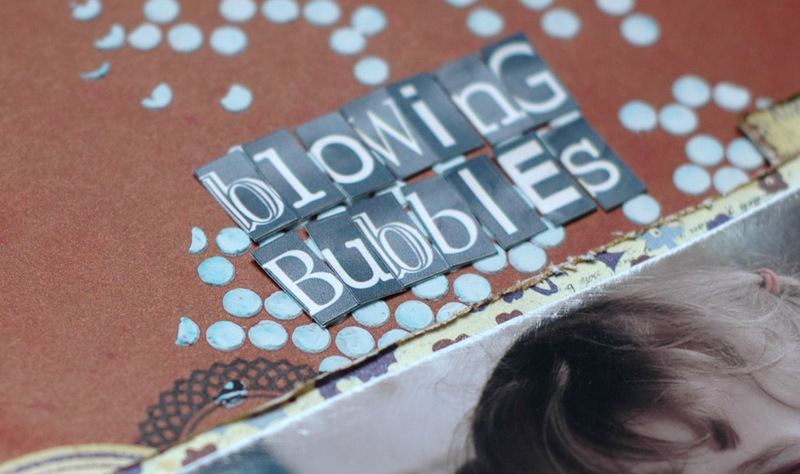 Today over on the Paperie blog are all the projects I made with the March card kit – I got a lot of mileage out of this one! To make it easier and much shorter for you here, today will just be all about the layouts. Finally, I did some hidden jounalling – of course – and doodled the edges. This next one is one of my fave pics of Molly – love how she got all dressed up for the backyard! And finally, I punched the alpha stickers with a 1/4″ square punch since I didn’t want the circle ones for this LO. It worked perfectly! Go check out my Flickr gallery to see more pics and a few more details. I’ll be back later with another post today (!!!) and next week I’ll share the rest of my Card Kit projects! Long time, no write! 😃 I did plan to take a bit of a hiatus over Christmas but my computer unexpectedly died and I’m still waiting for a replacement. Right now I’m stealing time on my husband’s computer so I can post my Show & Tell Lo’s for Simple Scrapper’s January content. 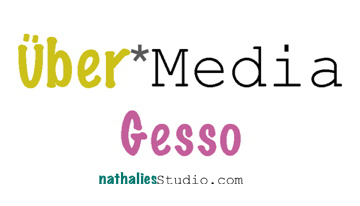 I’ll be back blogging regularly within the next week or so (fingers crossed!). My Story Starter LO this month allowed me to reminisce a little and scrapbook a few of my favourite books. I loved being able to put these on a LO especially since it isn’t something I would normally do. I love the template I used for this one and it worked perfectly with the fence in the photo. Make sure to check out the Simple Scrapper blog and check out what the rest of the Creative Team has done as well as join in & post your own work – we love to see what you all do with the templates! Also, make sure you take a look at the Team Gallery – it’s pretty awesome this month! 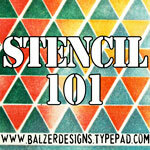 Yesterday I shared some of my work from the Paperie Card Kit and today you get to see the rest! 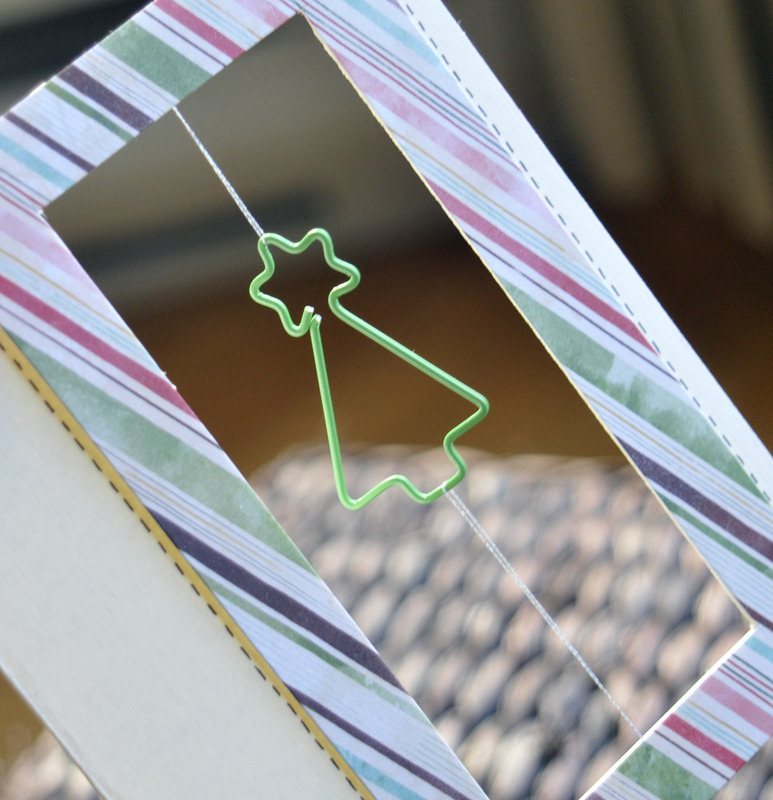 For once I actually made cards with the Card Kit – go figure! I had run out of cardstock so I cut up a piece of white woodgrain from my stash for the card bases. They’re super simple but they make use of the fun Lawn Fawn birthday stamp set that’s included. Perfect for kiddies birthdays and we always have lots of those to go to! Not bad, hey? 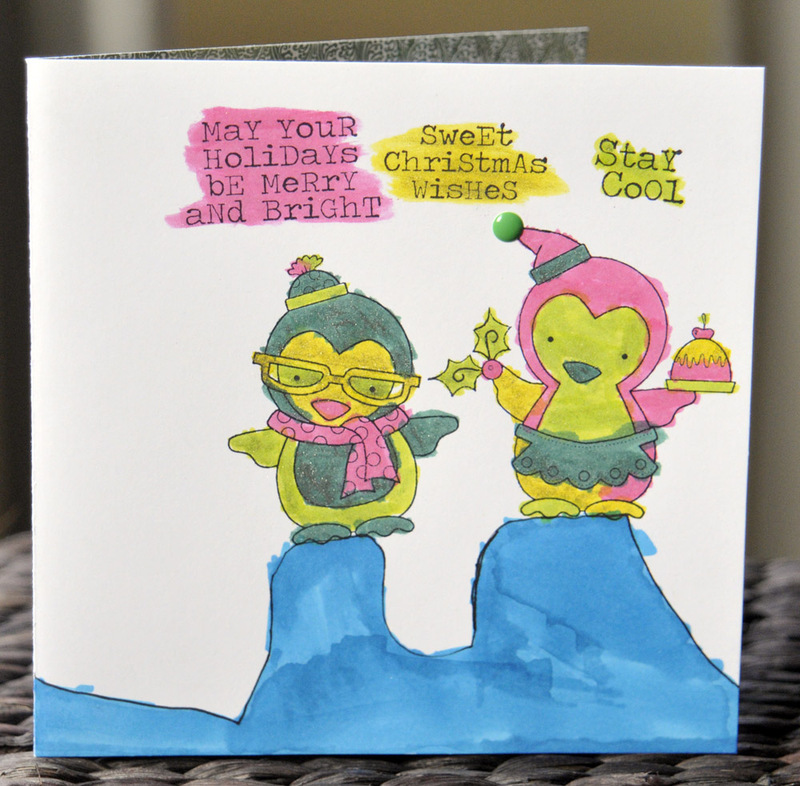 I used some of the 6×6 patterned papers, as well as one of the kraft and one of the white envelopes included. A bit of distress ink and I think it turned out rather fall-like after all! The wreath base was wrapped with burlap ribbon, then I pinned the leaves in place and the acorns were handcut and glued. Easy but I love how it turned out! I’ll be back tomorrow with some Halloween pics – I been meaning to post them but time has gotten away from me! I have a double dose for you today – my November Simple Scrapper Sketches and some of my Paperie Card Kit LO’s! Jennifer’s sketches this month were amazing and I made three LO’s with them, using the Card Kit as my paper base. I love, love, love the colours in the kit and I was very excited to discover that the Dear Lizzie fabric frames matched perfectly! I know I normally only use the contents of the kit, but I simply had to add those frames in – I suggest you go buy them if you’re getting the kit! 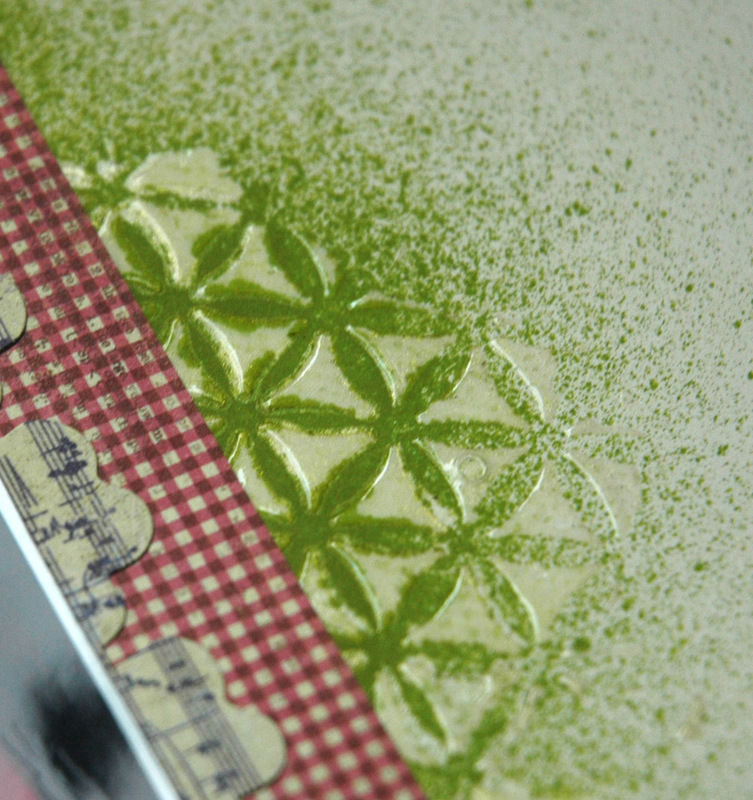 One of the big bonuses in this month’s kit is the Wink of Stella pen – look at the shimmer! 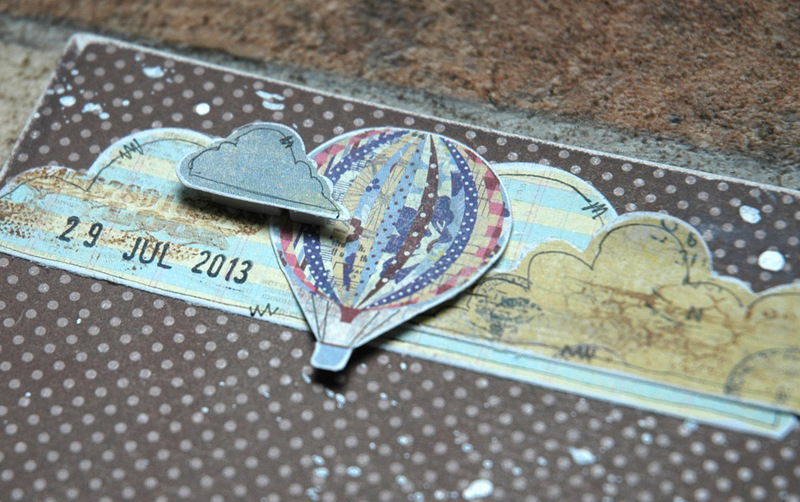 The arrow paperclip and the heart ones from the first LO are also included in the kit – lots of fun goodies this month! 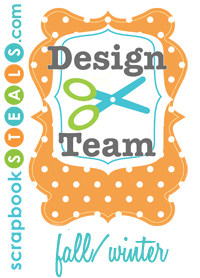 As you can see from above, we’ve changed the Simple Scrapper Blog Hop to a Community Show & Tell! Just click here to go check it out, see the team’s work, and add a link to your own! If you want to see the rest of the Card Kit reveal, go the The Paperie blog for my work here and Wendy’s take on the kit here. Of course, you can pop in the store to see them all in person as well! Whew – that was a lot to cover today! Now go grab a coffee and enjoy all the eye candy! Well, I ended up with a nasty head cold last week and so this didn’t get posted on Friday as planned – sorry! I made this album to highlight a few of my favourite summer pics. I put in 6 tabs, one each of June, July, and August for Molly and Gabe, and then added the photos of them that I loved from each month. For the first page I cut down one of the envelopes and misted it. I then decorated it with one of the Farmhouse flowers (sidenote: not a flower lover here but these ones are gorgeous!) and a bit mist. It holds bits and pieces from the summer. And the mist I used on the envelope and pocket pages is, of course, shimmery gold to match the embossing on the cover! That’s it! You made it to the end – whew! If you live locally and want to see the full album, check it out at The Paperie, along with the rest of my LO’s and Wendy’s cards. Come back tomorrow, my post is ready to go with the October Simple Scrapper templates and a bunch of the SS girls are joining in too! I’m back with the landscape LO’s I did with the kit this month. I actually have two 8.5×11’s and one 6×8. 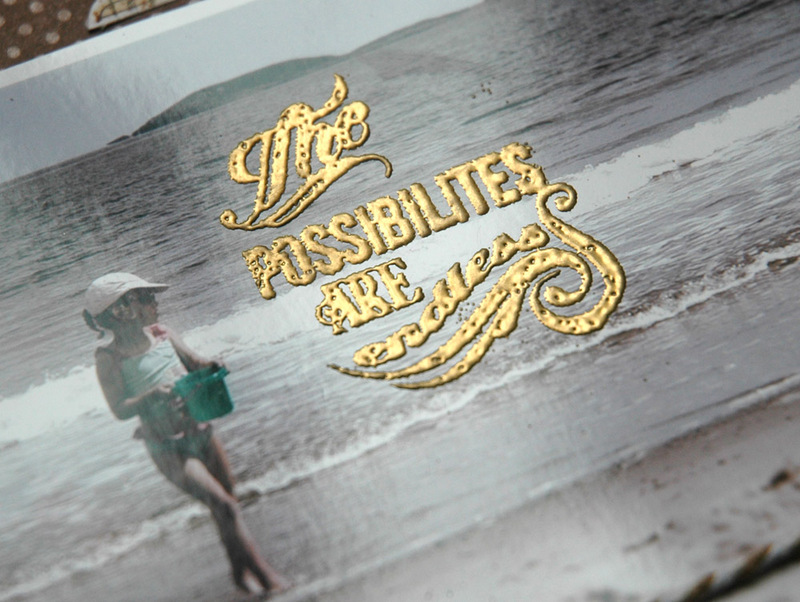 I love the shine of the gold embossing powder! I used one of the random looking stamps and some brown ink to add subtle texture to those elements, then stamped the date in black. The second LO is completely different than the other four I made – it’s amazing how you can really change up the look of a kit with some different ink or mist. Finally, I made an unusual size, a 6×8. This could be mounted on an 8.5×11 sheet of paper but I’m going to cut an 8×8 page protector down and slide it in that as it is. to reveal 8 more pictures! 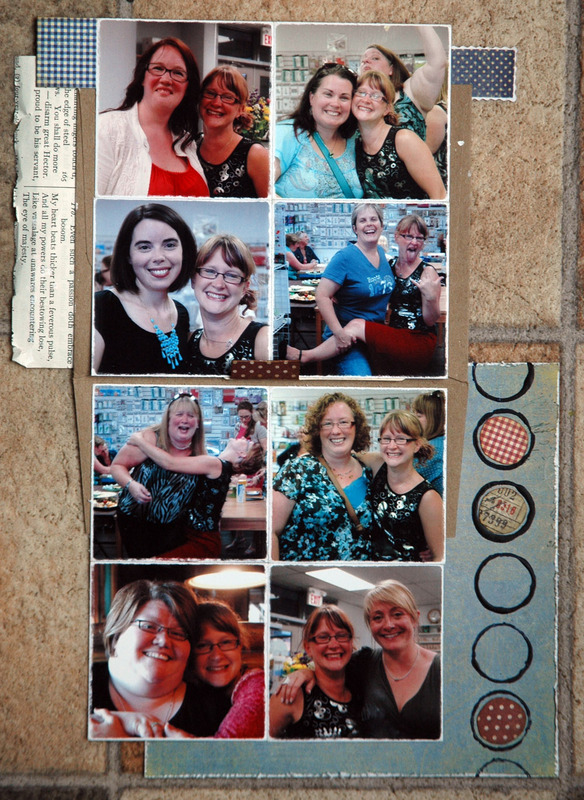 I love the pics that were taken at the Meet and Greet The Paperie had for Dina Wakley and really wanted to showcase them all – this works for me! I hope you liked these and enjoyed the overabundance of photos – I’ll be back soon with the mini album I made! 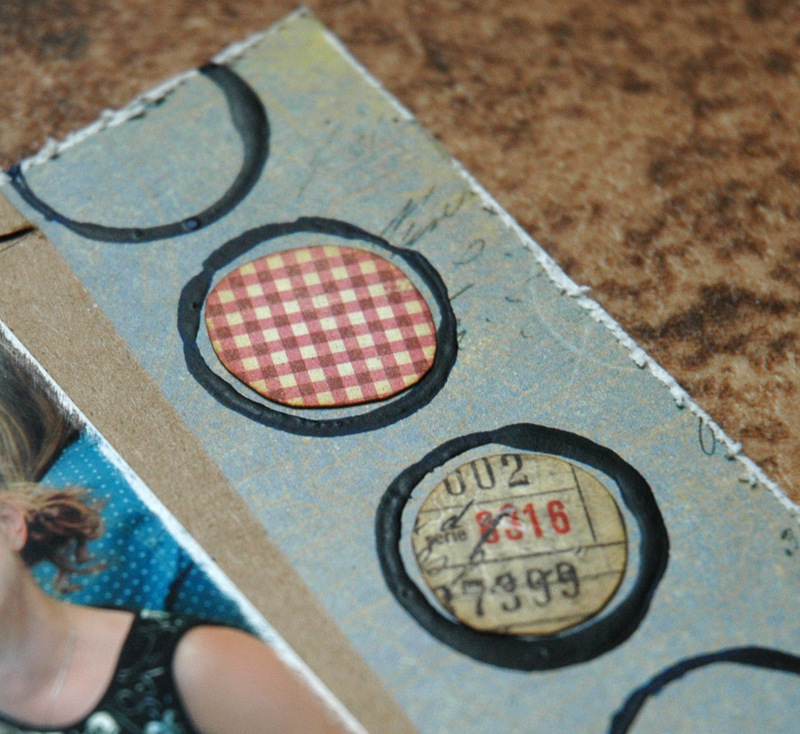 Today I’m sharing the two portrait LO’s I did with the September card kit. True to form, I did 4 – 8.5×11 LO’s and a mini album, plus a bonus 6×8 LO that I’ll share later (it has 9 photos on it!). 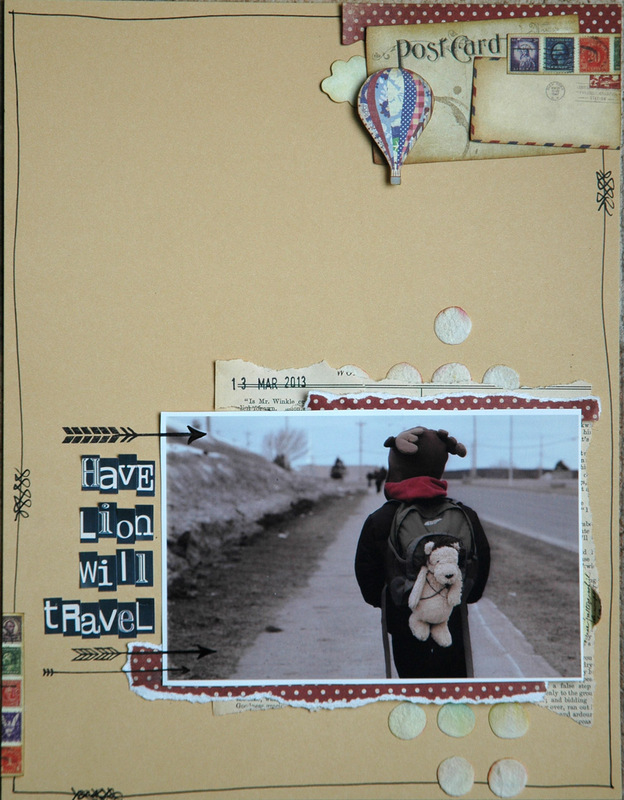 I love this pic of Gabe – everywhere we go, he wants Lion to tag along by riding on his backpack. It’s definitely a shot in time of Gabe and what he likes! 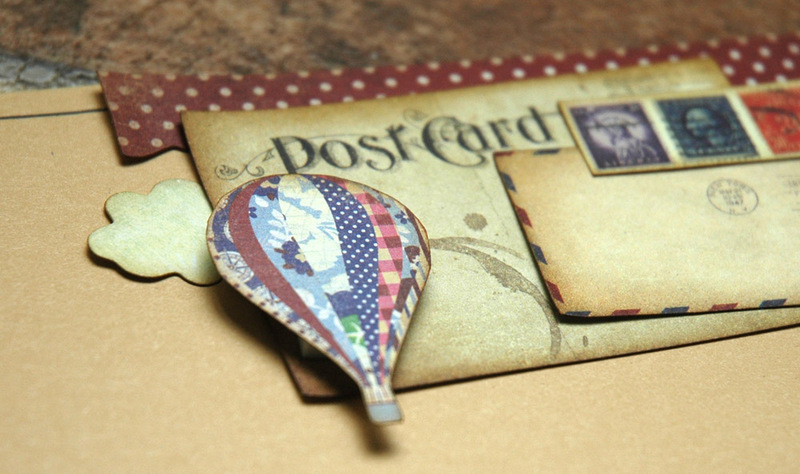 The kit is full of vintage looking Farmhouse Paper Company papers and they have the best bits and pieces for embellishing – I couldn’t resist using the balloon and postcard to reinforce the travel theme. Plus, I love a little cluster of goodies! The second LO showcases a new and exciting skill Molly learned this summer – blowing bubbles! 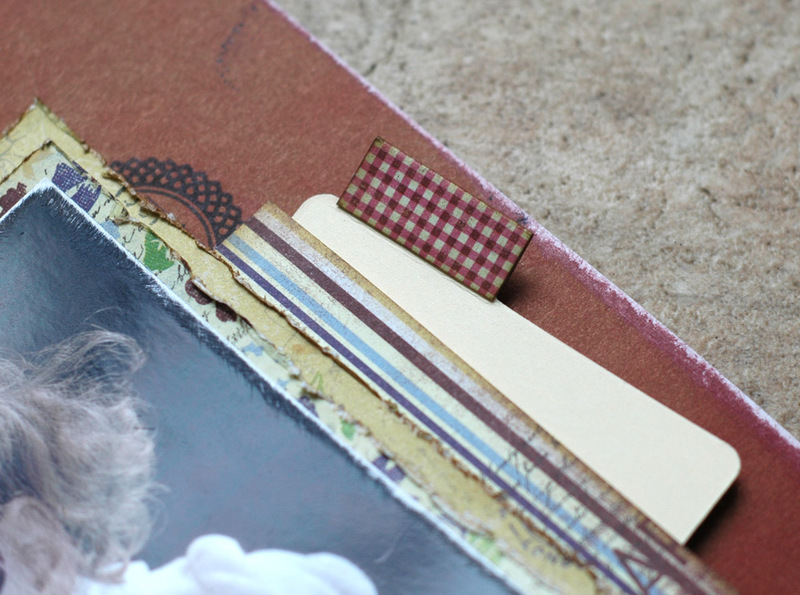 I love these papers and discovered the best way to add pictures was by editing the colour on my photos. The papers are such muted colours that the photos were clashing with the papers – adding a slight sepia tone made all the difference and now they look like they belong with the papers. There may be one or two kits left at the Paperie and trust me, between the exclusive Farmhouse product and the awesome stamp set, this is one to pick up! I used the Simple Stories 6×6 paper and cut it in half, then folded to make a tiny 3×3 album. 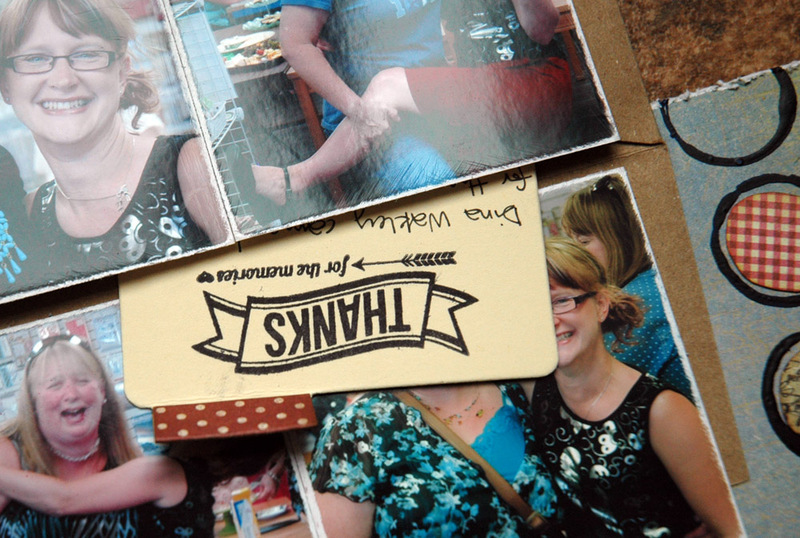 I love the stamp set that was included in the kit and that camera was perfect for a focal point on my front cover. I also used the speech balloon stamp throughout the whole book. My Donna Downey for Unity Stamp Co. stamps were the perfect size to fit in them and they were also perfect as quotes in a book for my daughter. I kept this super, super simple because I really wanted the sentiments to stand out. There were also a couple of great papers that said everything I needed to say with almost no other work. I also believe that no album is complete unless you put something on the back cover so I used the same stamp set to put a little camera on there. If you want to see the whole album, it’s at the Paperie so you can fondle with your eyes, and hands, or you can check out my Flickr gallery for all the pages. The new card kit is debuting on the Paperie blog Friday, so be sure to check that out – I know Wendy made some fabulous cards, as always!